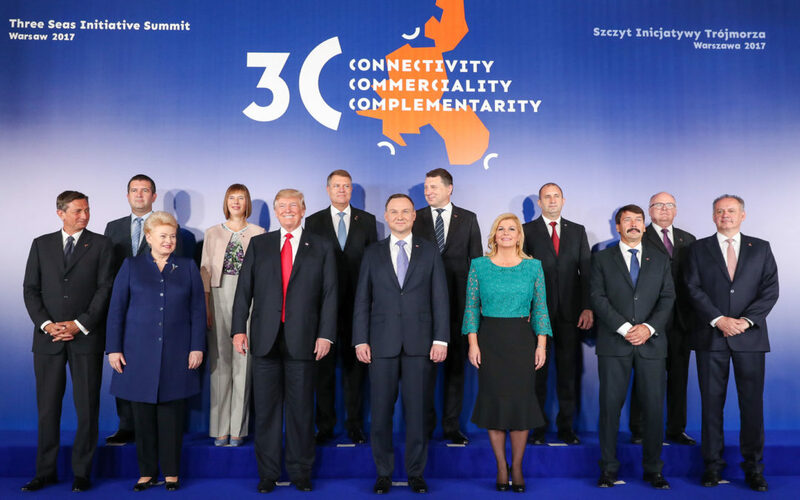 Heads of state from Central Europe met for the 2nd Summit of the 3 Seas Initiative to address how to drive forward regional infrastructure projects. The joint declaration states the will of the 12 countries located between the Adriatic, the Baltic and the Black Seas, to intensify their cooperation to support investments in energy infrastructure, environmental protection, in transport, and connectivity. The event took place in Warsaw, Poland, on the 6th of July. The joint declaration underlines the fact that the 3 Seas Initiative is a flexible Presidential Forum which provides political support to foster a more effective cooperation of governments, business entities and non-governmental organisations interested in boosting regional bonds. Among the mentioned priorities: “enhanced transportation connections of our region to develop and further integrate into the trans-European transport (TEN-T) network, implementation of the Union’s Energy policy objectives, promote business character of joint economic projects, full synergy with the EU policies”. While representing the interests of the energy and energy-intensive companies from Central Europe, Central Europe Energy Partners supports the initiative, especially underlining its importance for the implementation of the North-South Corridor, an European project composed of a set of interrelated gas, electricity and oil transmission infrastructure projects which connect Central and Eastern European markets from the Baltic to the Adriatic and the Black Seas. The Three Seas Initiative is a joint Polish-Croatian project, launched in 2016, with the aim of strengthening trade, infrastructure, energy and political co-operation among countries bordering the Adriatic, the Baltic and the Black Sea. The following 12 countries are part of the initiative: Poland, Hungary, Czech Republic, Slovakia, Romania, Bulgaria, Lithuania, Estonia, Latvia, Croatia, Slovenia and Austria. Romania will host in 2018 the third "Three Seas Initiative" Summit. Making it happen. Paving the way for the Central European North-South Infrastructure Corridor, issued by CEEP and Roland Berger. Full paper.